As part of my communications internship with Magic Bus, I’ve gone into various communities to learn more about how the NGO aids and educates the children in impoverished areas. 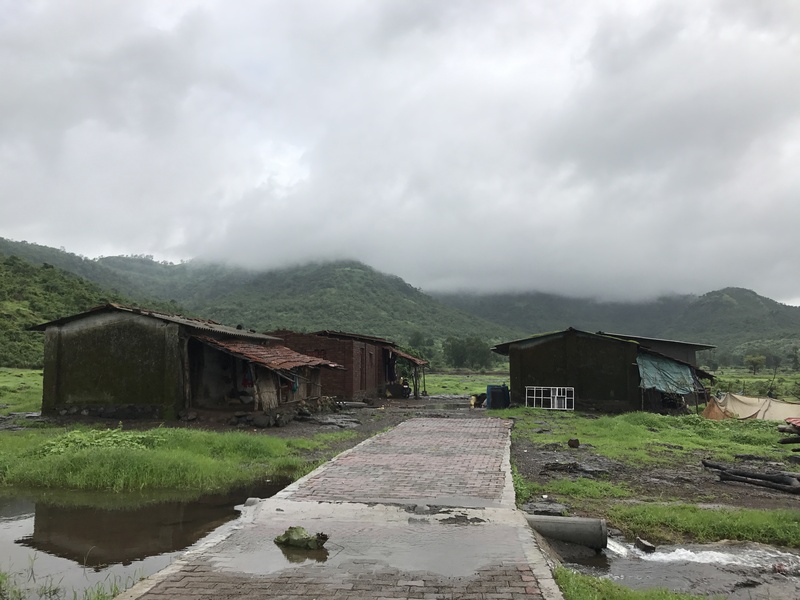 One of those communities was the tribal village, Ghodivali, in rural Maharashtra. 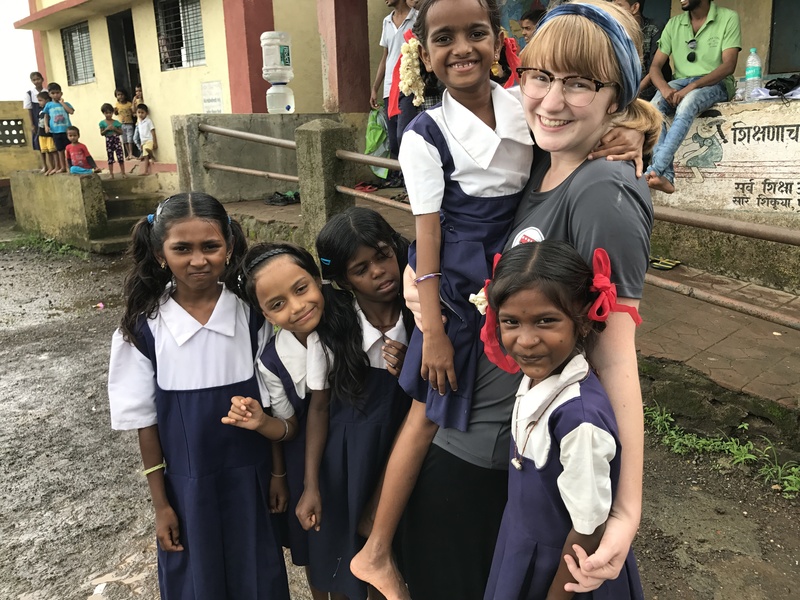 Despite being just two hours outside of Mumbai, the children in this village were disconnected from the outside world: in fact, I was the first white person they had seen in their lives. The way these people live could be viewed as depressing and in many ways, it’s certainly not ideal: some live in makeshift shanties with little access to water or electricity with frequent power outages. Mothers tend to be housewives while fathers work in agriculture or serve as day laborers. Once the children finish fourth grade, they have to walk several kilometers to the nearest school. Yet despite all the challenges and obstacles, these children were the happiest kids I’ve ever met. We began our journey planting trees at the school to provide shade and teach the children the importance of protecting the environment (which is definitely not a priority here, where people defecate in the streets and throw their trash anywhere they want). The children were in absolute awe when they saw a foreigner. They were not used to people coming in and showing interest in them. We took a walk up a small hillside and sat by a waterfall. I was pleased to see some of the schoolchildren had changed out of their uniforms and followed us. 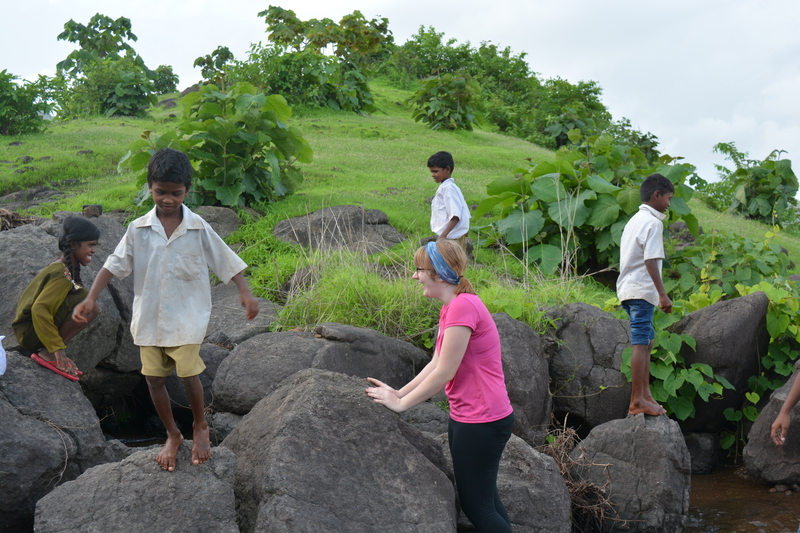 They raced up the hill and across the rocks with expertise — and barefoot. They beamed with all their teeth, but were timid around me since they could not speak English and I did not speak Hindi. I observed them for a while and noticed them scanning the water and grasping into the river. “They’re catching crabs,” a Magic Bus mentor, Nachiket, told me. I was shocked. If I saw a crab, my last instinct was to reach in and grab it. I continued to watch and heard their jubilant and carefree laughter. I stood up and approached a little girl who was clasping several small crabs in her hand. I pointed. She cracked open her hands so I could peek in. Before I knew it, she grabbed my arm and put all five in my hand. They scurried up my arms and I yelped, dropping them into the water. All the children laughed at me relentlessly and I feel a huge smile creep upon my face. I quickly bent down to collect her crabs from the river and returned them to her. They kids were thrilled and one little boy began pulling the crab’s legs from its body. Again, I was horrified. Nachiket started laughing, and then he explained that the children not only make a game out of catching the crabs, but they take them home to cook them and have them as a snack. I was amazed. It was the perfect blend of practicality and fun. They created a fun game to entertain themselves and pass the time in a place where not much otherwise happened, but also used the environment around them for nourishment. I went back to the house I was staying in and sat near the balcony, gazing out at the beauty of the mountains just beyond the village, when I heard laughter. Across the street, a small cluster of children gathered and were waving at me. I went outside and approached them. Several of the girls grasped my hand and arms and tried to say something. 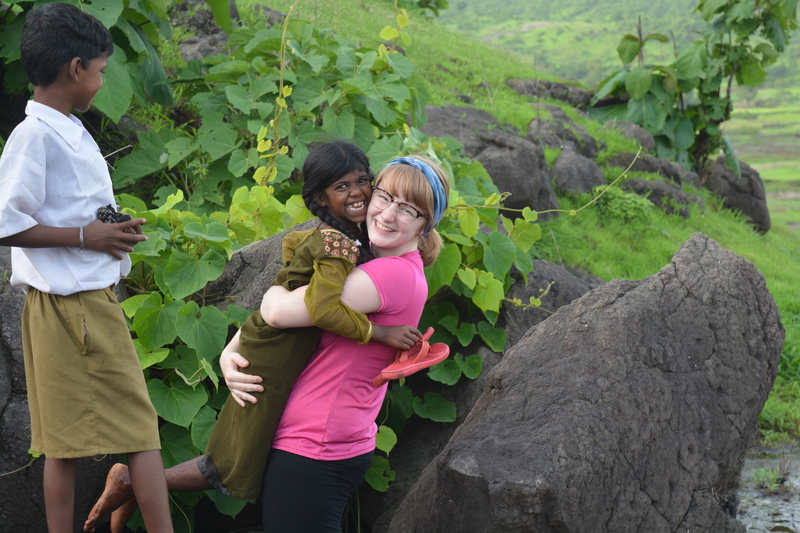 I had to express nonverbally that I could not speak Hindi, and then we realized we didn’t need to speak to have fun. We began to play familiar games such as freeze tag, but they also taught me many other games they loved to play in the village. As the minutes turned to hours, other kids began to join. I waved to some of the children watching from the other side of town watching from afar, and they were excited to be invited to play. 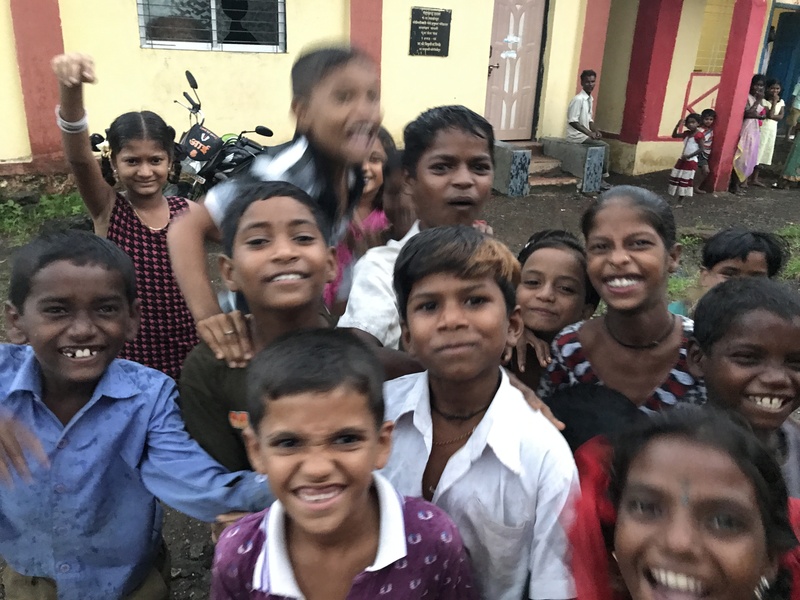 A little boy saw my phone and asked me to take a photo of him, and before I knew it, every kid was piling on top of each other for their chance to be in the camera. 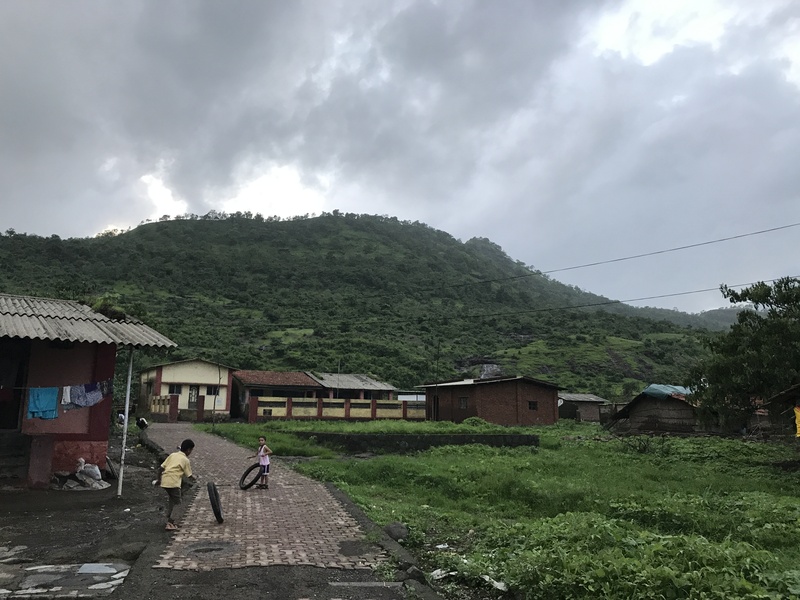 Soon, a heavy downpour started (as it often does during monsoon season here in India), and I went inside to eat and reflect on my day in my journal. I asked myself when was the last time I went outside and just played for fun and honestly couldn’t answer. I couldn’t remember a time in recent history when I laughed out of pure, innocent fun. It was the greatest day of my life, and it was all because of these kids. Didn’t I come to teach them something? To educate them? Instead, they were the ones teaching me. I have always struggled with severe anxiety and high stress. I had difficulty enjoying the small things, as I was always worrying about the future. In one short day, these kids demonstrated what I’ve struggled to achieve in 19 years of life. 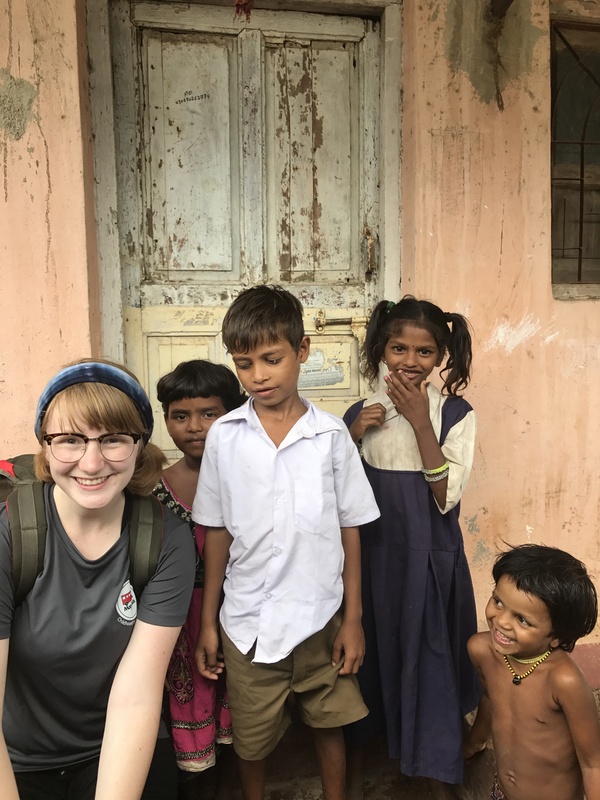 I am so grateful I had this experience and think about the kids in Ghodivali every day. I hope one day I can have just a fraction of the joy they have. What an awesome experience: extreme poverty and amazing joy in the same place. What a wonderful story. You showed people that it doesn’t take the fancy “gadgets” to have fun.